Liposuction is the second most commonly performed cosmetic surgical procedure in the United States (US), second only to breast augmentation. In 2016, more than 230,000 liposuction procedures were performed in the US alone, amounting to US$1.3 billion. This popularity is partly because of its ubiquitous application in plastic surgery and the reliability of its use. Despite the popularity of this procedure, very few surgeons objectively quantify liposuction results. Surgeons rely mainly on visual inspection through photographs, waist circumference (measuring tape), or through skin-pinch measurements.,,,, The aforementioned techniques may not accurately reflect surgical results as subcutaneous adipose tissue (SAT) is composed of heterogeneous deposits. Currently, no reliable gold standard exists to objectively measure changes following liposuction. The purpose of this systematic review was to summarize reported methods of monitoring liposuction results by objectively measuring SAT. A search of the Ovid MEDLINE, Embase, and PubMed databases was performed starting from database establishment to August 1, 2017. Different spellings and versions of the following keywords were searched: (“volume” or “objective” or “quantification” or “measurement” or “mapping” or “representation” or “distribution”) and (“adipose tissue” or “fat”) and “liposuction”. Citations were limited to human studies published in the English language. Studies were retained if they included objective measurement of adipose tissue following liposuction. Skin calipers and waist circumference measures were excluded. Cadaver studies, animal studies, case series (n < 10), abstracts, and review articles were excluded. Studies with combined abdominoplasty and liposuction as well as studies that reported liposuction for non-cosmetic purposes (i.e., lipedema, lipodystrophy, lipomatosis, lymphedema, etc.) were also excluded. All noninvasive techniques for lipolysis and body contouring, ultrasound-assisted, and laser-assisted liposuction were also excluded. Studies were only included if the entirety of the adipose tissue treated was suctioned and available for potential measurement. Two independent reviewers assessed the eligibility of the studies using strict inclusion/exclusion criteria. Studies were selected based on the relevance of the title and/or abstract of retrieved records [Figure 1]. The initial screen excluded studies with evidently irrelevant titles or abstracts. If content was unclear in the initial screen based on abstract review, a formal article review was undertaken. Additional studies were identified from an extensive manual Internet search and from the reference list of relevant articles. The systematic review followed the guidelines provided by the Preferred Reporting Items for Systematic Reviews and Meta-Analyses (PRISMA) statement. Ethical approval was not required as this was a systematic review. We have followed the World Medical Association’s Declaration of Helsinki. A total of 1192 studies were identified and further narrowed to 82 potentially eligible studies after primary review. A total of seven studies met the inclusion criteria and were included in this review. Objective measurement of SAT was carried out using the following techniques: ultrasound,, dual-energy X-ray absorptiometry (DXA),,, magnetic resonance imaging (MRI), computed tomography (CT), and three-dimensional (3D) imaging volumetric analysis [Table 1]. Ultrasound has been used in abundance to measure SAT. Due to its relative affordability, accessibility, and radiation-free and high-resolution studies, ultrasound is a powerful tool.,,,,, The accuracy of ultrasound-measured adipose tissue has proven to highly correlate with MRI,, and CT., Ultrasound has been reliably used to quantify tumescent liposuction results., Fat thickness measurement using ultrasound has been described for the thighs, submental, and abdominal regions. In addition to visual inspection, patients can also be provided with quantitative pre- and postoperative assessments of the liposuction results. Although not included in this review, Toomey et al. and Barton et al. studied the measurement of SAT using ultrasound. The authors observed a significant degree of SAT variation caused by the pressure applied on the ultrasound probe (up to 37%) and proposed a protocol using a force gauge to maintain a fixed amount of pressure on the probe (below 1N) to minimize the compression variability and fat distortion. The authors were able to show a higher correlation between total body fat percentage and ultrasonographic SAT using this protocol. Barton et al. and Leahy et al. subsequently validated the Toomey protocol and assessed its efficacy at measuring SAT reduction after nonsurgical treatment. Barton et al. obtained good reproducibility of SAT measurements (precision of ±0.558mm). One of the challenges encountered was the identification of the deep fascial point (as a reference point for further measurements). This was proven to be more challenging than finding the right pressure to apply on the probe and likely accounted for a small variation in depth measurements. The authors concluded that when the transducer pressure remains below 1N, ultrasound can achieve constant and accurate results in clinically monitoring SAT reduction following nonsurgical fat removal. Overall, when transducer pressure is controlled, ultrasound can accurately quantify liposuction results in relatively small areas (e.g., submental region). When treating a large surface area (e.g., the abdomen), ultrasound carries the disadvantage of scanning multiple zones because of its relatively narrow field of view and the heterogeneous deposits of adipose tissue. DXA is a tool used to measure body composition using differences in the attenuation of two X-rays as they penetrate tissue and has been shown to provide accurate and objective visual improvement of body composition following liposuction.,, Pre- and postoperative DXA scans can be used to measure and compare total fat mass, total lean mass, total bone mineral mass, and body weight. One advantage offered by this modality is the possibility of visualizing the entire body and body fat redistribution patterns. One study showed a significant reduction in body fat following liposuction at 6 weeks and at 6 months, but not at 1 year. In addition, this imaging modality showed remodeling at the hips and thighs and a preferential accumulation of fat in the abdominal region. DXA is a relatively inexpensive, simple, and efficient method of assessing liposuction results using minimal radiation. More studies are needed to confirm its accuracy and reliability in measuring SAT. The high-quality and radiation-free images of soft tissues obtained using MRI make it a valuable modality to assess SAT.,, The cost, time requirements, and limited availability of MRI may restrict its widespread use.,, Currently, only one study has reported the use of MRI for objective quantification of liposuction results, more specifically to assess redistribution of subcutaneous and visceral adipose tissue following liposuction. By manually tracing the appropriate borders of muscle and fascia, SAT was distinguished from visceral adipose tissue. Although MRI appears to be accurate and safe for adipose tissue monitoring, restricted access to this costly imaging modality limits its widespread applicability. Similar to MRI, CT scans are useful for the simultaneous visualization of subcutaneous and visceral adipose tissues. Currently, only one study has reported the use of CT for objective quantification of liposuction results, more specifically to measure the effect of liposuction and physical activity on visceral fat. The authors found CT-calculated adipose tissue volume to be accurate when compared with aspirated fat volume during liposuction. Despite the availability and accuracy of CT in measuring subcutaneous fat volume, exposure to ionizing radiation remains the main disadvantage.,,, CT should be considered when visualization of deeper tissue is required. 3D imaging techniques are frequently used in body contouring to assess surface anatomy. Two or more digital cameras rotate around an object and simultaneously take pictures at different angles. An algorithm subsequently uses the data to create a 3D image. The reliability and accuracy of 3D imaging in detecting changes in 3D shape and volume have been validated.,,, The low cost and portability of the scanner are unique properties compared to other imaging techniques such as MRI and CT. Although radiographs and CT scans provide pertinent tissue information, their ability to analyze surface anatomy is limited as compared to 3D photogrammetry. 3D digital photographs have been used to follow abdominal volume reduction following liposuction, with high intra-observer reliability (intraclass correlation = 0.985–0.998). One study compared the SAT volume measured by 3D imaging with the volume of aspirated fat (after gravity separation) and found no correlation between the two measurements. The discrepancies between 3D imaging and aspirated fat volume were attributed to varying individual response. Early results of 3D digital photographs are promising. More studies are needed to assess reliability in objectively quantifying changes in abdominal volume after liposuction. The focus of the systematic review was traditional surgical liposuction. Noninvasive techniques were not included. The rational for the above exclusion criteria was to compare estimated SAT volume with actual aspirated volume. Only three studies,,, however, compared estimated SAT volume with aspirated fat or with a different imaging modality. Comparison between estimated and aspirated adipose tissue is crucial to validate the accuracy of the various aforementioned methods. Moreover, many studies were missing inter- and intra-observer reliability data, which were essential to support study conclusions and reproducibility. This systematic review provides a summary of various techniques for adipose tissue quantification of liposuction results. Objective measurement of liposuction results has been described using a multitude of techniques. Due to paucity of studies, it is difficult to establish superiority of one technique over another. Individualized decisions should be made with consideration of the potential risks and benefits of the various imaging modalities described. More studies are needed to study the clinical relevancy and impact of the various imaging modalities reviewed as well as to develop automated volumetric measurement technology with improved accuracy, efficacy, and reproducibility. The preliminary results from this review are promising, and we believe that 3D representation and objective quantification is the future of cosmetic surgery. American Society of Plastic Surgeons. Plastic surgery statistics report. USA: American Society of Plastic Surgeons. 2016. Bilgili Y, Tellioğlu AT, Unal B, Karaeminoğullari G. Quantitative analysis of liposuction with B mode ultrasound. Aesthetic Plast Surg 2004;11:226-7. Barton FE Jr, Dauwe PB, Stone T, Newman E. How should results of nonsurgical subcutaneous fat removal be assessed? Accuracy of B-mode ultrasound. Plast Reconstr Surg 2016;11:624e-9e. Cohen SR, Weiss ET, Brightman LA, Geronemus RG, Locke KW, Maytom MC, et al. Quantitation of the results of abdominal liposuction. Aesthet Surg J 2012;11:593-600. Shi H, Ying Q, Yan S, Chen D, Guo J, Sun Y, et al. Dual-energy X-ray absorptiometry (DEXA): a novel approach for the evaluation of abdominal liposuction results. Aesthetic Plast Surg 2009;11:235-9. Weiss ET, Barzilai O, Brightman L, Chapas A, Hale E, Karen J, et al. Three-dimensional surface imaging for clinical trials: improved precision and reproducibility in circumference measurements of thighs and abdomens. Lasers Surg Med 2009;11:767-73. Kuchenbecker WK, Groen H, Pel H, Bolster JH, Wolffenbuttel BH, Land JA, et al. Validation of the measurement of intra-abdominal fat between ultrasound and CT scan in women with obesity and infertility. Obesity (Silver Spring) 2014;11:537-44. Moher LA, Tetzlaff J, Altman D, PRISMA G. Preferred reporting items for systematic reviews and meta-analyses: the PRISMA statement. Int J Surg 2010;11:336-41. Valizadeh N, Jalaly NY, Zarghampour M, Barikbin B, Haghighatkhah HR. 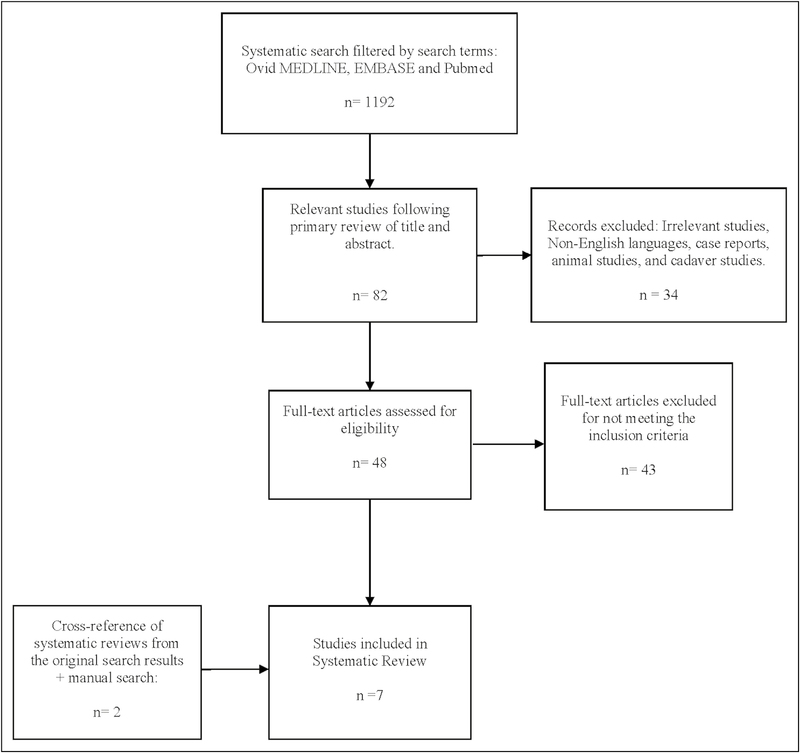 Evaluation of safety and efficacy of 980-nm diode laser-assisted lipolysis versus traditional liposuction for submental rejuvenation: a randomized clinical trial. J Cosmet Laser Ther 2016;11:41-5. Davis DA, Pellowski DM, Davis DA, Donahoo WT. Acute and 1-month effect of small-volume suction lipectomy on insulin sensitivity and cardiovascular risk. Int J Obes (Lond) 2006;11:1217-22. Hernandez TL, Kittelson JM, Law CK, Ketch LL, Stob NR, Lindstrom RC, et al. Fat redistribution following suction lipectomy: defense of body fat and patterns of restoration. Obesity (Silver Spring) 2011;11:1388-95. Benatti F, Solis M, Artioli G, Montag E, Painelli V, Saito F, et al. Liposuction induces a compensatory increase of visceral fat which is effectively counteracted by physical activity: a randomized trial. J Clin Endocrinol Metab 2012;11:2388-95. Emmons RR, Garber CE, Cirnigliaro CM, Kirshblum SC, Spungen AM, Bauman WA. Assessment of measures for abdominal adiposity in persons with spinal cord injury. Ultrasound Med Biol 2011;11:734-41. Leahy S, Toomey C, McCreesh K, O’Neill C, Jakeman P. Ultrasound measurement of subcutaneous adipose tissue thickness accurately predicts total and segmental body fat of young adults. Ultrasound Med Biol 2012;11:28-34. Pineau JC, Guihard-Costa AM, Bocquet M. Validation of ultrasound techniques applied to body fat measurement. A comparison between ultrasound techniques, air displacement plethysmography and bioelectrical impedance vs. dual-energy X-ray absorptiometry. Ann Nutr Metab 2007;11:421-7. Abe T, Tanaka F, Kawakami Y, Yoshikawa K, Fukunaga T. Total and segmental subcutaneous adipose tissue volume measured by ultrasound. Med Sci Sports Exerc 1996;11:908-12. De Lucia Rolfe E, Sleigh A, Finucane FM, Brage S, Stolk RP, Cooper C, et al. Ultrasound measurements of visceral and subcutaneous abdominal thickness to predict abdominal adiposity among older men and women. Obesity (Silver Spring) 2010;11:625-31. Koda M, Senda M, Kamba M, Kimura K, Murawaki Y. Sonographic subcutaneous and visceral fat indices represent the distribution of body fat volume. Abdom Imaging 2007;11:387-92. Bazzocchi A, Filonzi G, Ponti F, Sassi C, Salizzoni E, Battista G, et al. Accuracy, reproducibility and repeatability of ultrasonography in the assessment of abdominal adiposity. Acad Radiol 2011;11:1133-43. Gradmark AM, Rydh A, Renström F, De Lucia-Rolfe E, Sleigh A, Nordström P, et al. Computed tomography-based validation of abdominal adiposity measurements from ultrasonography, dual-energy X-ray absorptiometry and anthropometry. Br J Nutr 2010;11:582-8. Toomey C, McCreesh K, Leahy S, Jakeman P. Technical considerations for accurate measurement of subcutaneous adipose tissue thickness using B-mode ultrasound. Ultrasound 2011;11:91-6. Armellini F, Zamboni M, Rigo L, Bergamo-Andreis IA, Robbi R, De Marchi M, et al. Sonography detection of small intra-abdominal fat variations. Int J Obes 1991;11:847-52.
de Menezes M, Rosati R, Ferrario VF, Sforza C. Accuracy and reproducibility of a 3-dimensional stereophotogrammetric imaging system. J Oral Maxillofac Surg 2010;11:2129-35. Kovacs L, Eder M, Hollweck R, Zimmermann A, Settles M, Schneider A, et al. Comparison between breast volume measurement using 3D surface imaging and classical techniques. Breast 2007;11:137-45. Losken A, Seify H, Denson DD, Paredes AA Jr, Carlson GW. Validating three-dimensional imaging of the breast. Ann Plast Surg 2005;11:471-6; discussion 477-8.